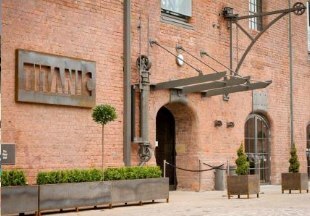 Forming part of the Stanley Dock Village, one of six sites in Liverpool making up the UNESCO World Heritage Maritime Mercantile City, The Titanic Hotel is truly somewhere special to stay. Located in the North Warehouse, The Titanic Hotel has retained many of the original feature including vaulted ceilings and exposed brickwork, it also boasts bedrooms starting from 56sqm, thanks to its warehouse beginnings. From stylish eating in the Stanley's Bar and Grill to a cocktail at the Rum Bar, The Titanic Hotel is one that is not to be missed. Conveniently located in the heart of Liverpool, Heywood House Hotel is perfect for those visiting the cities attractions or those using it as a stopover during their travels being just minutes' walk from St. James Street Rail Station and within easy distance of Liverpool Lime Street Stations and Albert Docks. The building that the hotel occupies has been restored from what was the first bank in Liverpool and combines original features of the historic building with the modern luxuries we have all come to expect. Having recently undergone a major refurbishment and rebrand, The Blackburne Arms has been a local Liverpool watering hole for almost 100 years and remains a popular spot for locals and tourists alike. Conveniently located within a 10 minute walk to the University of Liverpool. 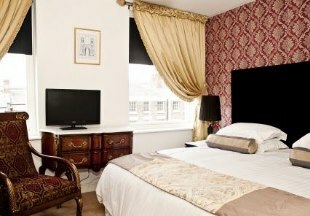 Liverpool, the home of the world famous Beatles, so why not stay at the worlds only Beatles inspired hotel. 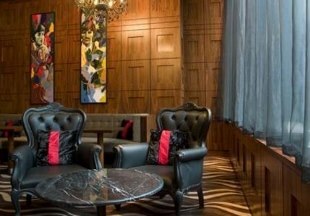 Set in a spectacular Grade II building, the Hard Days Night Hotel mixes luxury and elegance with a Beatles-inspired theme. The Hard Days Night Hotel sits adjacent to the world famous Cavern Club. Located in the Georgian Quarter of Liverpool, the Grade II listed Georgian Town House Hotel has all of the modern facilities including free wifi and parking that you would expect with the luxury of a fantastic location. Located near to the University of Liverpool and only 1.3 miles from the Cavern Quarter. An 18th Century public house that has undergone a multi-million pound make-over. 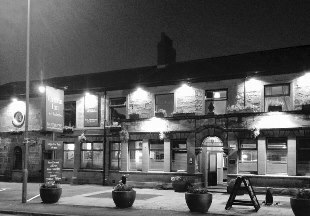 The Eccleston Arms Bar & Grill offers stlish and elegance mixed with tradition public house. This former coaching house called 'The Magpie' has been welcoming visitors since the 1600's. All eleven bedrooms have been recently refurbished to a high standard but keeping the character of the building. 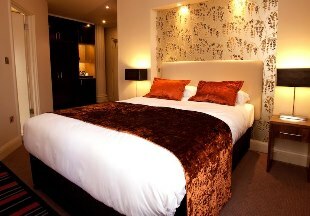 Located 1.5 miles from St Helens Rugby Ground and under 10 miles to Liverpools John Lennon Airport. 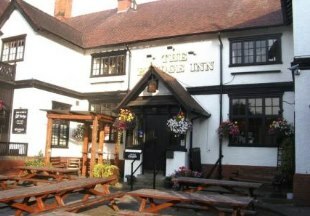 Located in the unique village of Port Sunlight, The Bridge Inn was built in 1900. With 11 bedrooms and a restaurant boasting great value pub favourites, The Bridge Inn offers a friendly welcome and a great place for gatherings of friends and family. 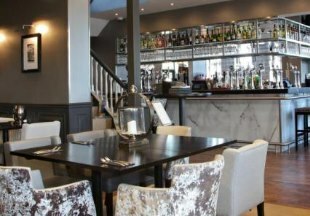 Welcome to our directory of inns and pubs with rooms in Merseyside, covering Liverpool, Birkenhead, St. Helens and Southport. Famous for its culture (and not just because of the Beatles! ), this area of the country is popular with tourists and is well known for its hospitality. 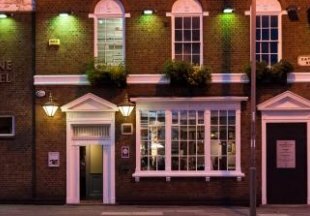 Oh yes, and Liverpudlians are rather fond of a good night out, so what better way to throw yourself in to the local culture by staying in one of these inns or pubs? Merseyside is bordered by Lancashire and Cheshire. If you want to widen your search, why not browse through our selection of hotels and inns in Lancashire and hotels in Cheshire.